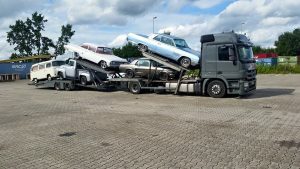 We also offer vehicle transport and import from USA to Austria. Austria is a market for us, which we have successfully managed for years. We also visit our Austrian customers several times a year at trade fairs, such as the Classic Expo Salzburg or the classic car fair Tulln.